If you’re a lover of makeup, good organization and storage is essential. As my collection grew or rather my eye shadow addiction solidified itself, storing my shadow pans into palettes is a must. I’ve tried a couple of different palettes over the years and considered the popular Z Palette, but meh. 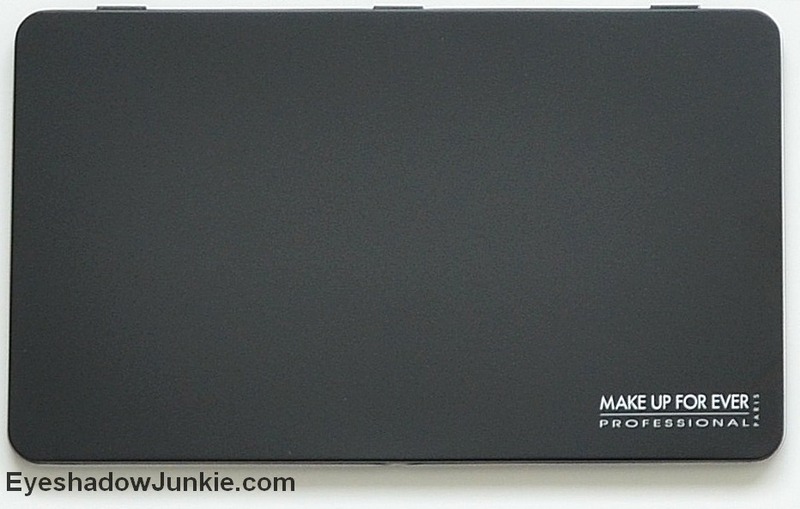 I discovered Make Up Forever’s empty magnetic palette a long time ago and haven’t looked back. Their palettes are HUGE…24x14cm (around 9×5” for the metric challenged). 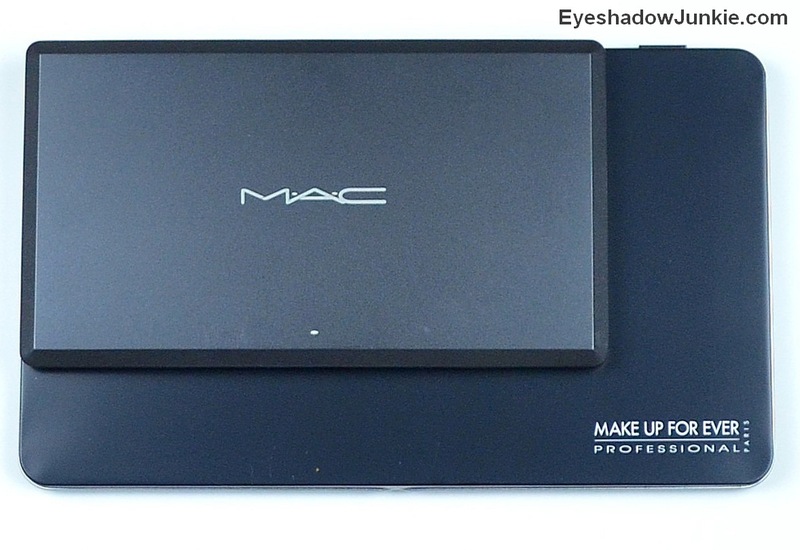 It holds 24 Make Up Forever-sized shadows or 45 Mac-sized shadows. There is plenty of room to play with, whether it is all shadows or a mix of shadows and blush. The metal casing makes it very durable. More importantly, it’s thin and that is a big space-saving plus. This is a great product no matter the size of your collection, but it does have some annoyances. It isn’t the easiest to open for those who want to avoid breaking a nail or chipping polish. So, I cut a strip from an index card and taped it to the inside of the lid. I let an inch hang outside of the palette that easily pops the lid open and also doubles as a label. 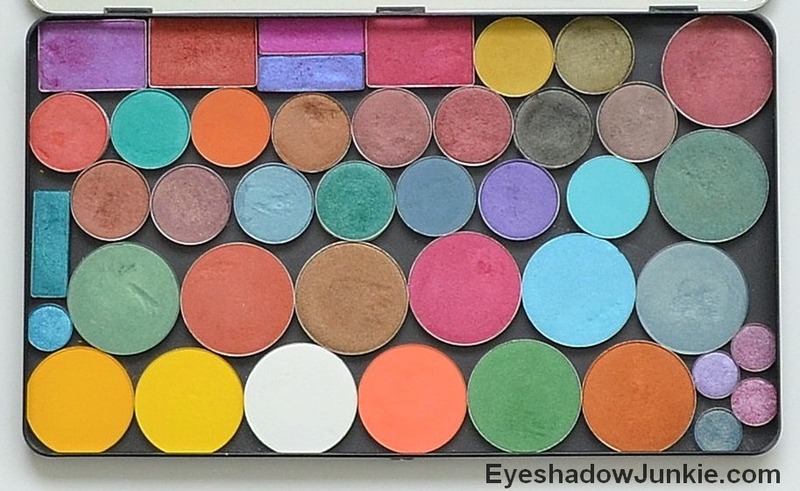 Secondly, this palette can’t be purchased online or in your local Sephora. (HUGE UPDATE 11/2014: The palette is available online at Sephora!!) You have to call a stand-alone store and order over the phone. I have called the location in New York City several times with zero issues. Annoyance is a strong word, given this palette only cost $14! What is the number of the store to order the Makeup Forever empty Palette in New York or Miami? Do the Mac eyeshadows stick to the MUFE palette? Like you didn’t have to put another magnet on it? No. You need to buy magnets for all Mac pans that you depot. (If you buy the pan from Mac’s website, it comes with a magnet on it.) I think Mac pans are made from tin, which do not stick to magnets. Other brands pans like Makeup Forever, Sugarpill, theBalm and Urban Decay contain iron, which allow them to stick. I suggest getting magnetic business cards from an office supply store as they’re easier to cut. Where can I buy this palette off of? You can’t get it online. You have to call the New York flagship store and have it shipped. It is annoying, but I’ve never had any issues and the shipping cost is reasonable. Do you have to pay shipping for this? Could you please give us a number to call? I need to order one of these badly! Google the New York Make Up Forever store. There isn’t a special phone number for ordering. The items will be shipped from the store to your house. The NY store is a stand – alone versus a Sephora.